Walter and the team share the same deeply held values and practical objectives, believing passionately that how we do things is just as important as what we do. 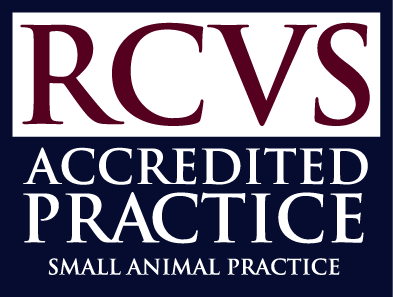 Friendliness - It’s important to us that our practice feels warm and welcoming – for you and your pets. 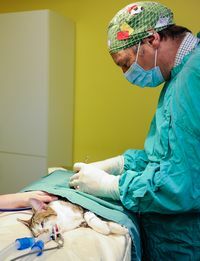 We all love what we do and feel privileged to be trusted with the care of your beloved pets. Sometimes, inevitably, there will be times of sadness but we’ll always be right there with you (with a cup of tea and a box of tissues if needed). We understand. We hope to form lasting and genuine partnerships with all our clients and pets – you’ll never be just another case. 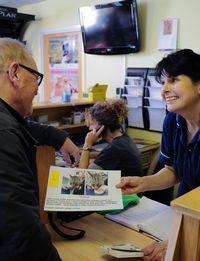 Commitment –Everyone at Wangford Veterinary Clinic is committed to ensuring that the patients and clients get the best possible treatment and care, to putting the pet’s interests first and assisting you in making the best decisions for the health and wellbeing whilst maintaining the highest of professional standards. Integrity - Doing the right thing is vitally important to us – we work hard to keep the team’s training and development up to date and we are continually investing in new equipment. We’ll never sell you products you don’t need or prolong treatment unnecessarily- sometimes rest and a large dose of TLC is all that’s needed, and we’ll always say if that’s the case. Our vets and nurses approach every conversation with openness, warmth and honesty. 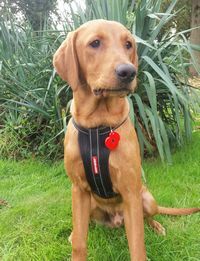 Community –We thoroughly enjoy getting involved in the local community, supporting various charities including those that train and supply life changing assistance dogs and animal rescue centres. 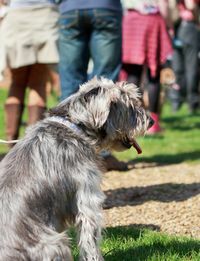 We hold a number of events throughout the year celebrating the special relationship between people and their pets as well as sponsoring and getting involved in a number of others. From long -term projects like our recycling book stand to supporting issues affecting the people in our immediate area, getting involved is important to us. Vets and nurses from the practice regularly give talks to Schools and groups such as the Scouts and Brownies. 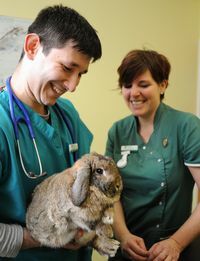 We are keen to help young people develop their skills and offer work placements throughout the year to give experience of working in practice and helping them to find out if a career in veterinary is for them. Sustainability - We take our wider responsibilities seriously and try to care for the environment to ensure the quality of life for present and future generations. Our goal is to integrate the principals, values and practices of sustainability into as many elements of the practice as possible and have recently installed bird boxes and insect hotels in our grounds. In addition we recycle everything we can and actively try to reduce the amount of waste. All unwanted foods are given to local pet rescue charities. See our environmental policy page for more information.